Shots from the area along the Utah-Arizona border, near Page and along Cottonwood Canyon Road. Most are from The Grand Staircase - Escalante National Monument, which is 1.9 million acres of untamed wilderness that probably looks much the same as it did thousands of years ago. 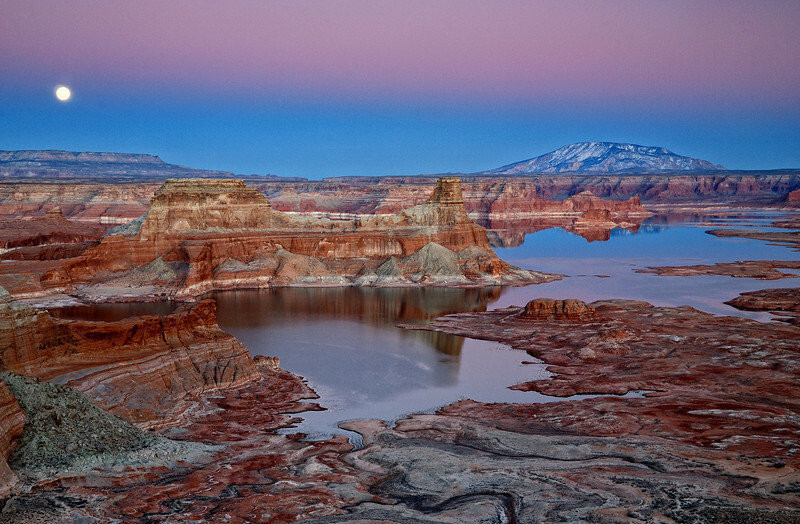 "MYSTIC VISTA" (Glen Canyon NRA, UT) - The view from Alstrom Point - with a nearly full moon, Navajo Mountain, Lake Powell and Gunsight Butte, is one of the truly special scenes I've ever witnessed.